Before public transportation initiatives in the middle of the 19th century, most people of modest means traveled by foot. If you were wealthy, a horse or carriage made things easier. Most people lived and worked within walking distance of their jobs. 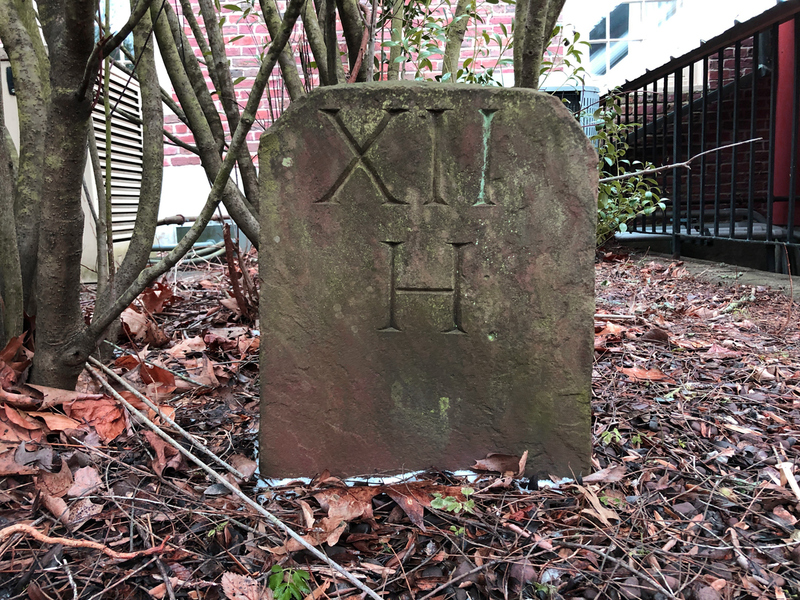 On March 31, 1863, the Hartford and Wethersfield Horse Railroad carried their first passengers by horse car on a line that ran from the Old State House in downtown Hartford to horse-car stables on Wethersfield Avenue. During the 1880s, the company was looking to make the lines more efficient at a more reasonable cost. Power lines furnished by the Hartford Light & Power Company helped lay the ground for the first electrically-powered trip from the Wethersfield Avenue stables to Wethersfield Green on September 21, 1888. 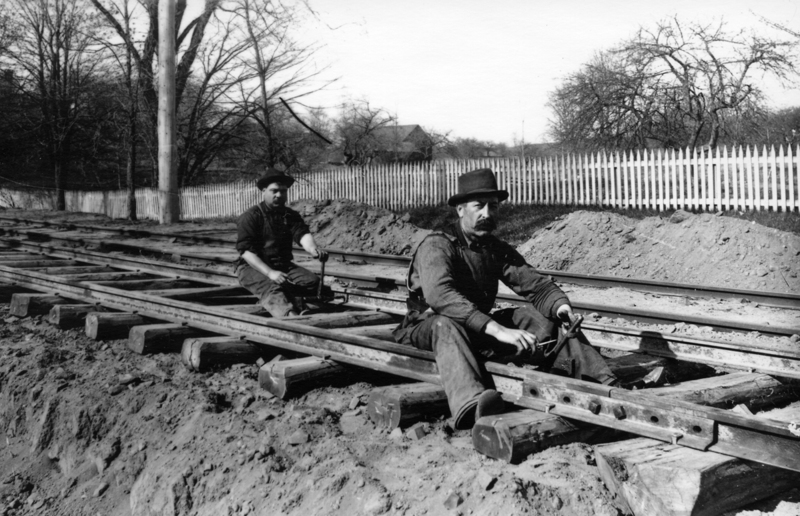 The Hartford & Wethersfield Horse and Railroad became the Hartford Street Railway. They sought and received approval from the General Assembly to build lines to surrounding towns including Windsor. During the next ten years, trolley tracks would be built from the Hartford city line along Windsor Avenue to Windsor Center. From there, riders could continue up Palisado Avenue towards Windsor Locks or follow the Poquonock Avenue line towards Poquonock Center and Rainbow. Workers were paid $1.25 a day to dig the roadbed trench two feet deep, fill it with broken stone, and then lay the ties and tracks. Fare for the trolley ride depended on the distance from City Hall on Main Street in Hartford. To the Wilson Station, only four miles away, a twenty minute ride was five cents. Windsor Center was seven miles from Hartford’s City Hall and the thirty minute ride cost ten cents. Poquonock Avenue and Rainbow were between ten and twelve miles away at fifteen cents per passenger for a one hour commute, certainly a bargain today! The trolleys made scheduled stops at five major Windsor stations: Wilson, Windsor, Poquonock, Rainbow and Rainbow Park. In addition to the five major stops, there were over fifty smaller stations all spaced out a few blocks from each other. Because house numbers were not assigned in Windsor until 1915, the city directory listed addresses by their proximity to the closest trolley stop. For instance, if you were traveling to the Wilson Congregational Church you got off at station 6 1/2. The Windsor Public Library was located at station 28. Thrall School on Poquonock Avenue was located at station 44. The last station in town which brought you to the center of Rainbow at the end of the line was station 70. 1909-1910 Hartford Suburban Directory. WHS Collections. Trolley operators had their share of trouble. Account books housed in the Dodd Research Center at the UConn/Storrs campus from the Hartford Street Rail Company dating between 1894 and 1907 report many accidents and deaths. We know that in 1894 there were six people killed and ten injured on the brand new trolley lines in Hartford. The following year when the Windsor line was complete, four people were killed and forty-six injured. One of those injured and listed in the report was James Sugland from Hayden Station who jumped from the car while it was in motion. He received several head wounds. Fights and accidents that occurred on the trolley were also reported in the Hartford Courant. 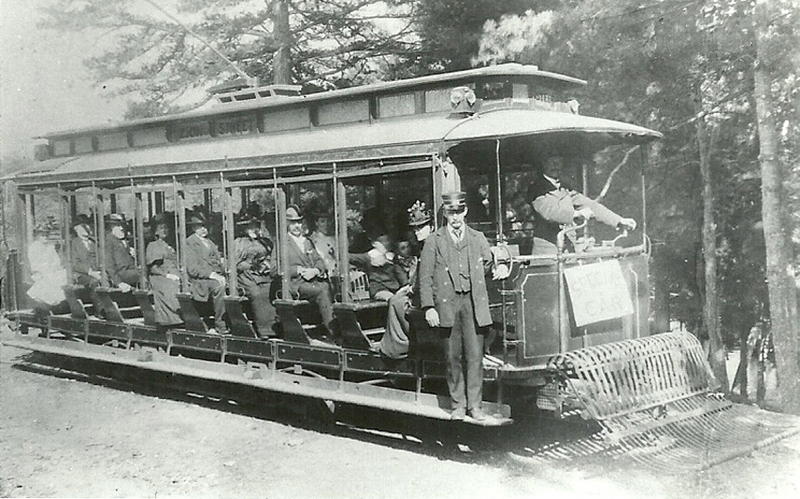 In 1906 the Connecticut Company took over a majority of trolley lines in Connecticut. In 1924, the track mileage reached a peak of 834 miles with 1,640 passenger cars. The same year, the first conversion of a street car line to motor coach operation took place. In August 1924, the Hayden Station line to Windsor Locks was discontinued. On October 21, 1930 trolley service from Windsor Center through Poquonock and Rainbow was converted to motor coach operations. That same year the Bloomfield and East Windsor trolley lines were discontinued. The depression years dealt harshly with the transportation industry. On October 31, 1935, the Connecticut Company filed for bankruptcy. On April 14, 1940, trolley service was discontinued on Windsor Avenue between Hartford city line and the remaining Windsor rail to the center. Exposed trolley tracks on Broad Street, looking north, near the corner of Broad Street and Elm Street. The tracks were exposed as part of the resurfacing of the road. The image was taken by Enita Jubrey on June 13, 2014. WHS collections 2014.40.1. By Julia Baldini, WHS Educator. 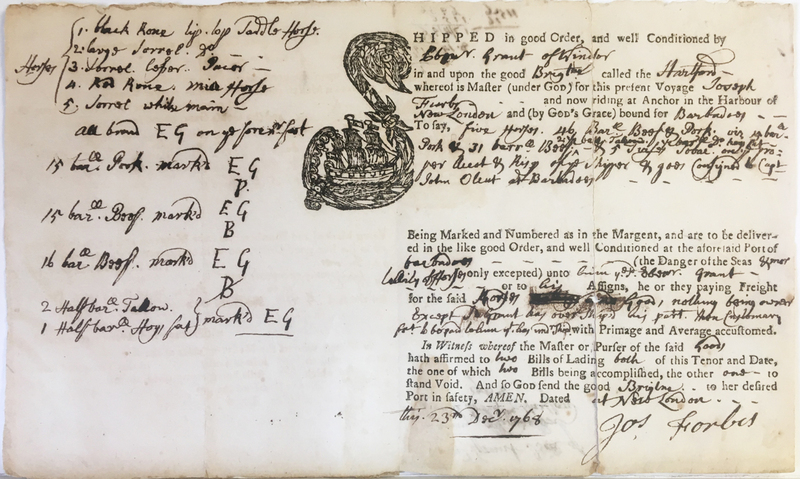 This article originally appeared the Windsor Historical Society News Vol. 27, No. 3, in September, 2009.